Technology is disrupting the way people earn, save and spend. How should banks respond? Disruption is in the air - or so it seems, given how common the term has become in the business press. Startups, we’re told, are disrupting entire industries by offering new approaches to old ways of doing business. Consumers seem ready to embrace just about everything the tech sector comes up with. It’s important to understand that disruption isn’t merely change or evolution. Rather, it’s the use of technology or new business models to reinvent or reshape an existing business. The original inventor isn’t necessarily the disruptor. Xerox PARC developed the graphic user interface - the computer mouse - but Apple and other companies were the ones to ultimately disrupt the industry. Disrupters also aren’t immune to disruption. AOL reinvented the way we communicate, only to be supplanted by better e-mail systems, social media and messaging apps. In financial services, startups are taking advantage of new technologies such as cloud computing, mobile communications, digital currency, and blockchain (otherwise known as the distributed ledger or distributed database) to bring new businesses to market. They’re helping banks solve problems, even in thorny areas such as compliance, but none have the dominance that companies such as Netflix or Facebook have in their sectors. Banks certainly aren’t going to go out of business because of these upstarts, but they can’t ignore the changes happening in their own back yard. Going forward, they’ll have to think differently about how they operate and develop strategies to counter disruption with their own fintech offerings - which means learning from how startups work. To be responsible to their customers, banks need to be responsive to changing trends in the industry. 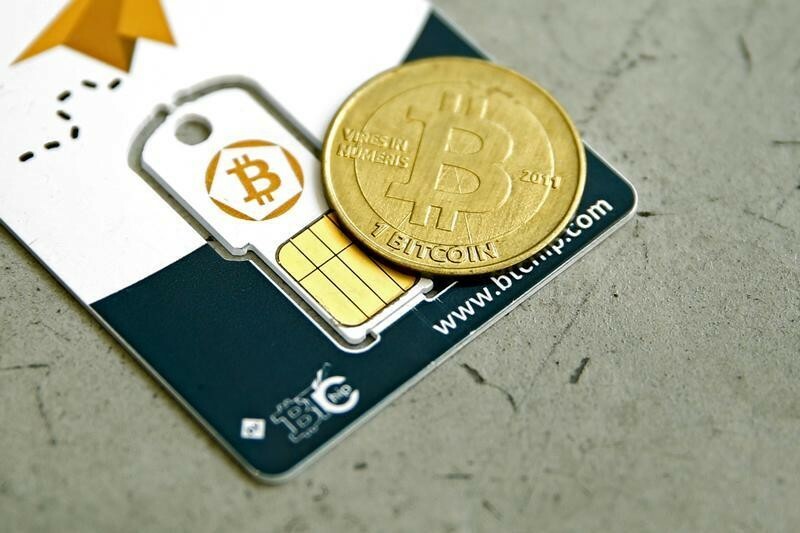 A Bitcoin (virtual currency) hardware wallet and a coin are seen in an illustration picture taken at La Maison du Bitcoin in Paris, France, May 27, 2015. Speed and scale are two key elements of disruption. They’re possible because new entrants typically build their businesses on internet-based platforms hosted in the cloud. Initially at least, these don’t require large real estate or staff outlays, and they can be quickly scaled if the technology becomes popular. Some platform companies grow incredibly large yet require very little infrastructure; Airbnb and Uber are great examples. Facebook has a market cap of about $356 billion and 14,000 employees. General Motors has a much smaller market cap, about $50 billion, yet it operates 400 facilities on six continents, and has about 215,000 employees. Quite a difference. Large banks more closely resemble GM than Facebook, and that’s not likely to change anytime soon. They have numerous business lines, each supported by legacy strategies and technologies. Siloed divisions may not interact easily, if at all, and top executives face a challenge when seeking to understand everything that’s happening across the enterprise and how different business lines affect each other. Startups, on the other hand, are nimble because they tend to focus on one thing, and do it well (or they don’t, and they quickly fold). By the time banks catch up, the barrier to entry may already be too high - not because of the cost, but because newcomers have established their brands, infiltrated markets, and inked deals with customers. Banks are beginning to understand this, and the savvy ones are taking steps to respond to the disruption. A company such as Microsoft provides them with a good model. Its legacy businesses, such as Windows and Office, continue to thrive, but under chief executive Satya Nadella it’s moved into cloud computing and other platform-based offerings, even at the risk of cannibalizing itself. Microsoft benefits from its size because it has the financial and personnel resources to develop technologies more quickly than startups. In other words, it’s ultimately about mindset, not size - which means banks should be able to leverage their vast resources to take advantage of new technologies. In fact, one of the major challenges banks face - increasingly onerous global regulations - can help them as they position themselves in the ever-changing landscape. To deal with compliance, banks have had to streamline their business, free up siloed data, and increase transparency - exactly what they need to do to become nimble and adapt to fintech disruption. Regulations also create a high barrier to entry in financial services, an issue not found in most other business sectors. Banks’ skill at navigating regulation and their sheer scale gives them an edge over fintech startups, many of which face a steep learning curve in this resource intensive area. Banks today are dealing with startups in a number of ways, including partnerships. These small companies may have innovative technology and creative talent, but they generally don’t have the technical and business expertise, data, and go-to-market access necessary to scale their operations. Startups face challenging hurdles when it comes to developing their products and growth strategy, because they also have to think about issues such as content sourcing, marketing, and sales reach. They also need platforms and ecosystems if they hope to scale their businesses and gain a foothold in the capital markets sector. Partnering benefits each side, and gives banks access to technology they might have difficulty developing on their own. Large banks are also partnering with each other. For example, Deutsche Bank, UBS, Santander, and Bank of New York Mellon are working on a digital currency to manage trades through blockchain, the underlying technology for bitcoin. Several large US banks are jointly developing a person-to-person payment service called Zelle to compete with products such as PayPal’s Venmo. And closer to home, Thomson Reuters has recently partnered with banks to create a shared Know Your Customer (KYC) utility. 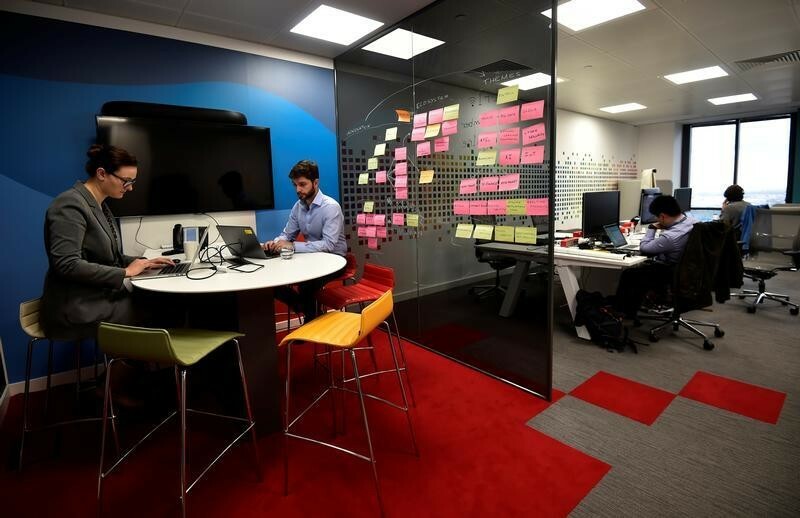 Finally, banks are launching in-house incubator programmes to generate new business ideas and consumer technologies, such as peer-to-peer loans and mobile payment platforms. Firms realize that if they don’t gain a toehold in some of these areas now, they may forfeit the opportunity to do so in the future. By fostering the development of fintech in-house, they can anticipate potential concerns and work around them, tailoring new products to their needs and those of their customers, something that’s more difficult when they acquire outside technology and try to integrate it. They also have ownership, which puts them in a position of strength should a new technology succeed. All of this will pose new challenges for leadership. Never has it been more crucial for leaders to brace themselves for change and find ways to drive it themselves, even if it means disrupting their own businesses. That’s hard enough under normal circumstances, but when familiar paradigms are giving way to new and unexpected ones, leaders must be true visionaries. This means not only being able to see the future, but being aware of the entire business landscape, since change that may affect a given industry can come from far outside of it. Think of it like a chess game: some pieces are more powerful than others, but in the end they’re all important, and their position on the board can make or break even the strongest of them amid constantly changing dynamics. Leaders must see several moves ahead, make sacrifices occasionally for the long-term good, and anticipate the end game before their rivals do. This requires courage, but also a trait we don’t often talk about in conjunction with leadership: the ability to disrupt oneself. Fintech startups are shaking up the financial services sector, and more change lies ahead this year. Banks stand to benefit, but to do so they must embrace the startup mentality that’s driving most of the change. The fact that many are already doing so is a sign we can expect some fascinating developments in financial services in the years ahead, and exciting stories about the leaders who are bravely taking us into the future. After the crash, how can we rebuild trust in our financial institutions?